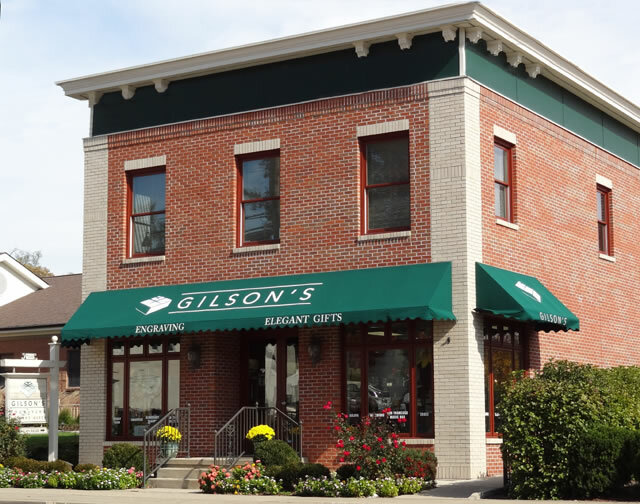 Executive Awards by Gilson’s has been creating elegant gifts of distinction since 1974 when our founder, Tony Gilson, opened his first store in Downtown Cincinnati in the Dixie Terminal Building. Since that time, our expanded product lines and services, state of the art in-house engraving, and excellent customer service have allowed us to serve many local and national corporations, both big and small, for their corporate and executive gift needs. Executive Awards offers an extensive collection of engraved corporate gifts and awards manufactured by proven and reputable manufacturers such as Waterford, AT Cross, Seiko, Bulova and Wilton Armetale. Our traditional line of executive corporate gifts includes wall plaques of the finest wood such as walnut, cherry, and mahogany, glass and crystal desktop awards, executive desk accessories, quality timepieces, and pewter & silver trays, tankards and bowls. Custom Corporate Awards and Recognition pieces can be created to add uniqueness to any special event. Whether to commemorate a groundbreaking event or bid good luck to a treasured employee, our staff can create the perfect item such as a custom crystal logo or building replica. Our membership to ASI in 2003 has brought to our resources all the advertising specialty products on the market. If your corporate sales event requires gifts for 20 or 500, we are able to provide a wide-range of items – within your budget – to make your event not only successful, but also memorable for those who attend! Not sure what your corporate gift needs are? Allow one of our trained corporate recognition specialists help to select and create the perfect products that would best fit your requirements – while staying within your budget and timeframe. We invite you to browse our site and learn more about us. If you have any questions or need additional information please call us at 1-800-906-7654 and a corporate gift specialist will be happy to assist you. When in the Cincinnati area, please come visit our 2300 square foot retail showroom. A well spent retirement is shared with friends, family, colleagues, reminiscing about accomplishments and memories. What better way to remember and recognize a career than a sterling silver retirement tray, hand engraved with the signatures of the people who shared the best moments in that career? Perfect for parties, an afternoon tea or cocktail, this tray serves as a great conversation starter as well as a beautiful memento. Entertain with style and class. Celebrate bygone days and remember what has been achieved. It’s an ideal executive gift, one that puts retirement into perspective. Each is custom engraved in house and made of the finest silver.